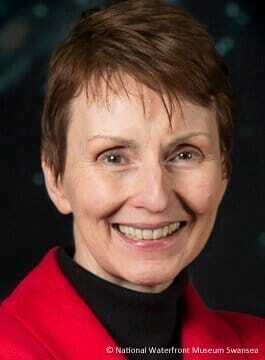 Helen Sharman OBE was the first British person in space. A scientist and astronaut, Helen became the first Briton in space in May 1991 when she launched on a Soyuz spacecraft. Sharman spent 8 days orbiting the Earth, most of that time on the Mir Space Station. “Her account of the hours before the launch and the actual sensations during ascent into orbit is so gripping that any reader will feel a vicarious involvement. This is exactly what it must be like”. Born and educated in Sheffield, Helen Sharman was one of two Britons selected for astronaut training out of almost 13,000 applicants. Sharman underwent a rigorous selection process which focussed on psychological and medical assessments, technical understanding and practical skills and the ability to learn a foreign language. Helen later undertook eighteen months of intensive flight training in Star City near Moscow. Among learning many new skills, Helen had to learn to speak Russian, learn how to cope inside a cramped space capsule, prepare for weightlessness and procedures on a sea landing. The Soyuz TM-12 mission, which included Soviet cosmonauts Anatoly Artsebarsky and Sergei Krikalev, launched on Saturday 18th May 1991 and lasted eight days. Most of the mission was spent on the Mir space station. Coping with risk was a daily activity and teamwork was a vital element in the success of the mission. Once in space, Helen’s tasks included medical, agricultural and chemical experiments, materials’ testing and earth observation work. Sharman landed aboard Soyuz TM-11 on Sunday 26th May 1991, along with Viktor Afanasyev and Musa Manarov. Following her space flight, Helen Sharman became a science communicator and keynote speaker. Helen delivers presentations worldwide discussing topics such as teamwork, leadership and motivation. These topics relate to her career, training and experiences as an astronaut, which she combines with her subsequent management experience. Helen takes delegates on a journey into Space, describing the seemingly endless training and preparation, the launch, how weightlessness feels, what it is like living and working in space, the team work and team spirit, and adjusting to life back on Earth afterwards.